I recommend using whole coconut milk. Don't skimp on the light stuff. It's like baking cookies with no butter. 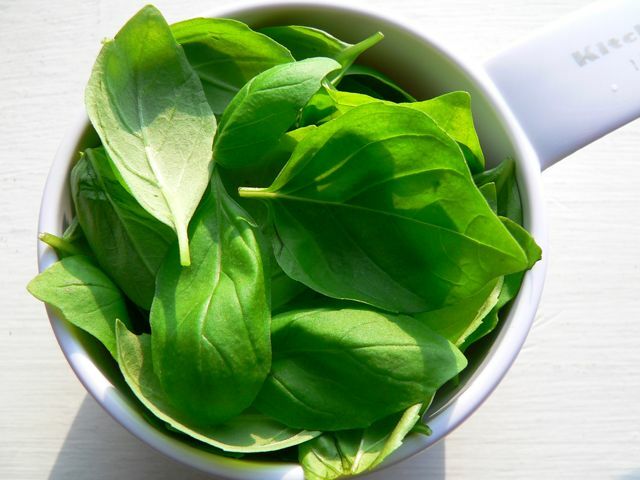 You can measure out a cup of loosely packed basil or use all the leaves on one of the plants you find at the grocery store. 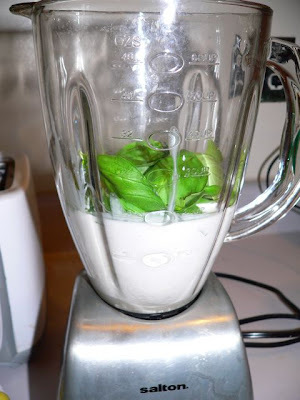 Blend basil, coconut milk, and sugar. Shockingly easy, I know. Combine coconut milk, basil, and sugar in a blender until smooth. 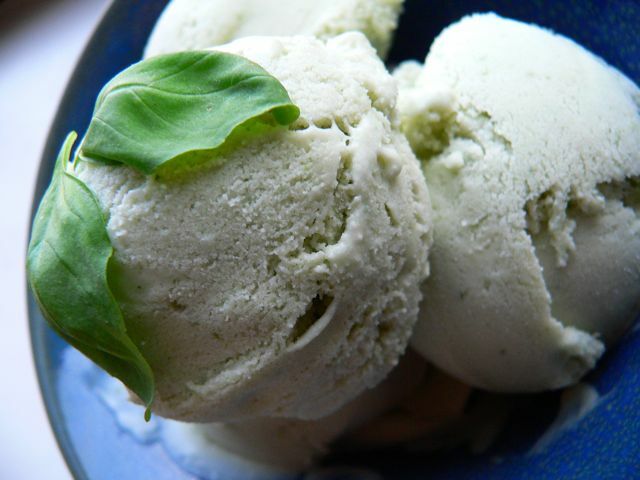 Add to ice cream maker and freeze according to manufacturer's instructions. 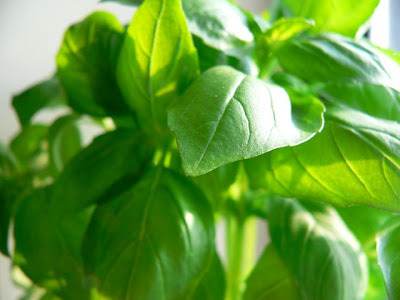 We're a little shy of basil in our ice cream, but we're trying this tonight. 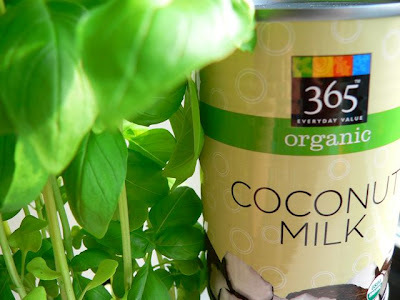 Coconut milk is on our pH diet so we are excited about the possibilities. ... thanks for the great idea. We made this last week along with Margherita Pizza. We added a drop of coconut extract because we were pretty sure we bought the wrong kind of coconut milk. I don't use metal canned foods because the liner in them contains BPA, so we used a Tetra Pak box of So Delicious coconut milk. 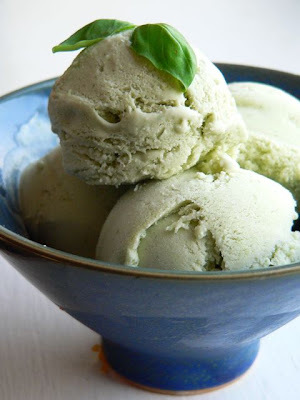 The final product is very tasty, definitely a sorbet as it is thin and light. Thank you for the recipe!